Had them on for two year, 20.000km and have seen several trackdays. Theyre still in very good condition, thumbs up! Fits the ITR rear sway bar perfectly. Best chassis upgrade so far. Easy to install, good performance upgrade. 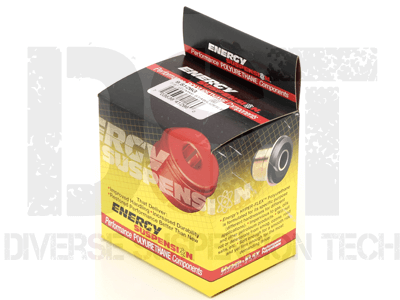 The bushings operate perfectly and have completely eliminated clunking sound caused by worn OEM bushings. Only thing I did not like was that the brackets that came with the new bushings did not look as dependable in comparison to the OEM bushing brackets. Its not a bolt on, Ive tried putting it on but the brackets dont match up with the bolt holes. 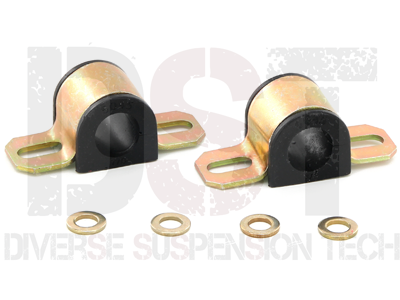 Editors Note: When choosing universal sway bar bushing it is important to measure the diameter of the bar and the center to center spacing where the bushing is attached to the frame to insure fitment.